This Bank Holiday weekend, Belsay Hall are inviting you to feel the steel as rival knights gather in their grounds for the ultimate competition! Brandishing blades and bows, they’ll be facing off in feats of strength and skill to see who’s worthy of shining armour and who needs to be demoted to being a squire. Of course, the medieval antics don’t end there, with fire-cooked food and the sound of merry music flooding the gardens. Kicking off on Saturday 26th August, there’s plenty of chances to catch knight fever! Led by one of the Life Science Centre’s expert Science Explainers, this is your chance to sit back, look up at the stars in the night’s sky and find out about the latest science on asteroids in the planetarium. There’s also a look at NASA’s attempts to protect the Earth from an impact like the one that killed the dinosaurs. The show ends on 3rd September, so as part of the close to the summer holidays, why not make this unique, fascinating and spellbinding show part of a day out? The history of the city of Newcastle is a long and rich one, so who better to tell it than one of the region’s most beloved historians? TV’s John Grundy is back and he’s giving a talk at Newcastle Castle, and he’s attempting to sum up the whole of the city’s history in just one hour! Surely that’s a task even he can’t pull off? Well, he’s pretty confident he can manage it, and you can expect some of that classic John Grundy humour and irreverence to go alongside it too. If you’re passionate about the city or want to brush up on your heritage, this whistle-stop tour will be right up your street. 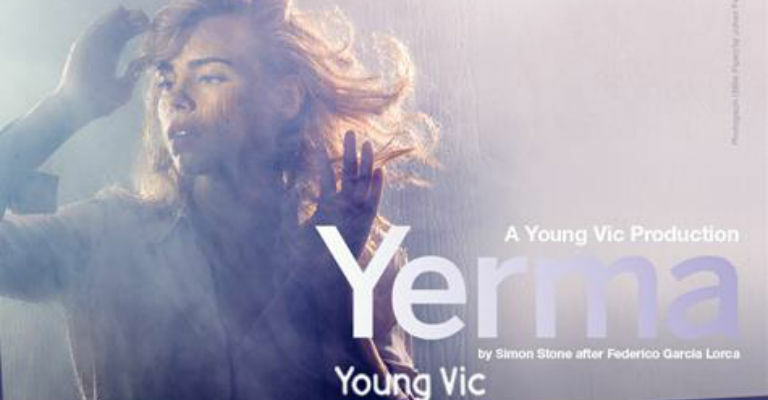 Presented live by the National Theatre and screened to cinemas across the country, this is a chance to see the amazing Billie Piper as she returns to her award-winning role in Simon Stone’s radical reworking of Lorca’s classic Yerma. In it, a young woman is driven to do the unthinkable by her desperate desires to have a child, and Piper’s portrayal of the thirty-something protagonist (or maybe anti-hero) comes to a shocking, staggering climax. Described as “an extraordinary theatrical triumph” by The Times, even on the silver screen this is an unmissable production. JM Barrie might be best for his enduring tale Peter Pan, but the rest of his literary canon is just as spellbinding. Take The Twelve Pound Look, which comes to the Gala this week. It follows Harry Sims, a successful man who’s about to receive a knighthood for his achievements. Unfortunately, his domestic kingdom is shattered by the arrival of a hired typist, an independent woman who’s also a blast from Harry’s past. The grown-up Edwardian comedy with a modern view before its time feels as relevant to today’s ego-driven political times as it did in 1910. Born in 1945 in New York City, Mary Burton completed a Doctor of Ministry in Chicago in 1973 and soon became a minister in congregational churches in her native country. Mary then emigrated to the UK in 1982, where she took up watercolour painting, becoming increasingly absorbed in the connection between the art-form and spiritual journeys. Her paintings therefore focus on light in spiritual settings, including churches and cathedrals, and show off the interplay between light and darkness. Some of her best works are going on display in the Undercroft Restaurant until 29th October, and if you’re keen to own one of her works, then you’re in luck: the paintings will also be on sale! Looking at the First World War from a new perspective might seem quite difficult, but The Unknown Solider manages to put a unique spin on a soldier’s story. It tells the tale of what happens after a soldier comes home from war, unable to cope with returning from the battlefield and possibly suffering from the trauma of PTSD. It’s also a story of comradeship, betrayal and what happens when promises are broken. This official Edinburgh Fringe sell-out show from 2016 is moving, often pretty humorous and frequently thought-provoking, a stunning theatrical addition to the commemorative events surrounding the conflict.